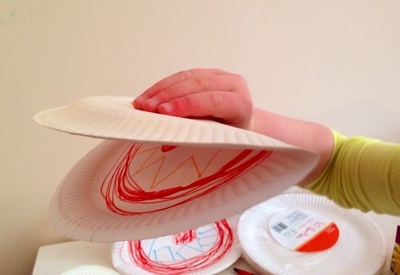 These paper plate snapper puppets are quick, easy and lots of fun for toddlers and preschoolers to make. On the outside, draw eyes and nose. You could also use google eyes, craft pom poms, fake fur or wool for extra decoration - e.g. hair. 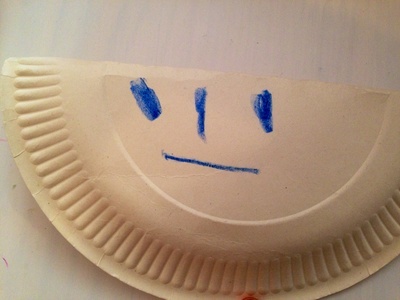 On the inside, draw teeth around the edge and a tongue in the middle. 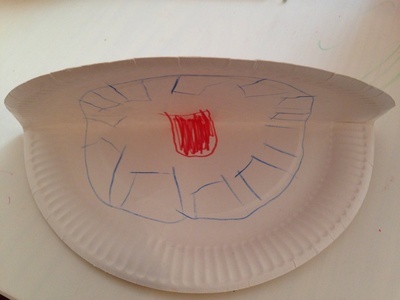 You could try jagged teeth to make a shark or monster or rectangular teeth to make a person. 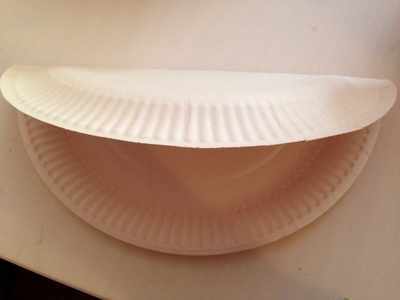 Your paper plate snapper is now ready. Hold it between fingers and thumb and press to open and close.